As you can tell, Dungeon Boss is quite an intricate game. We’ve done several Dungeon Boss strategy guides on the game over the past few days. 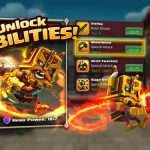 We’ve shared some tricks on how to get unlimited gold coins, gems and honor scrolls, provided some general hints about mastering the game and also gave out some tips on how to get five-star heroes. 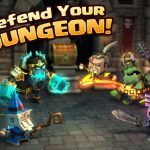 In this new iOS and Android game from Big Fish, you’re essentially crawling through dungeons until you reach the boss, and it’s that emphasis on the boss that justifies the name of the game. 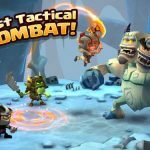 Mechanics are quite similar to your usual RPG – you put together a team of heroes, do upgrades and power them up, and have them fight in the dungeons en route to the ending boss battle. There’s also a social element here, as you get to unlock a PvP, MOBA-ish mode once you’re at Level 8. 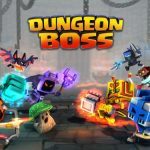 We probably have told you enough about Dungeon Boss for the meantime, so we’re going to get to those tips and help you in leveling up and ascending your heroes. You level up automatically – that’s all there is to it, are we right? Well, that could be true, but then again, it isn’t. You can have your heroes drink from some experience potions; you get 20 EXP if you use the regular potion, all the way up to 5,000 EXP for the XP Sarsaparilla potion. There is, however, one important thing to remember; your player level has to be at a certain level if you want to experience the XP upgrades. 2. How Else Do You Increase The Level Of Your Player? This is what we meant by the last sentence – your heroes’ levels can only go as high as your player level. That would require replaying Single Player mode repeatedly, and while that may sound very tedious , it’s a necessary evil you’re going to have to deal with. And when it comes to grinding, you can send your team back to old stages in levels in order to earn more coins; we recommend using the Auto Battle feature if you’re grinding, as you should already be powerful enough to vanquish your foes without the benefit of computer AI. It is also possible to upgrade your team members’ skills by paying for the upgrades with coins. Don’t worry about running out of coins – in most cases, you’ll have a substantial amount of coins that you can spend on the upgrades. Again, let us remind you that your fighters’ skills are also limited by player level. This is a far less complex way to make your heroes better, as your fighter doesn’t have to be at a certain level. All you need here is the right type of Evos. These are the small blob-like things you’ll see in specific levels of Dungeon Boss, so go gather them as often as you could. Common heroes will take a short period of time before they get upgraded, while rare ones will need a lot of Evos, including a few rare examples of this item. Check your heroes’ profiles in the Roster menu to see what type of Evos are needed, and what levels you can find them in.